RECEPTION We will be waiting for you at the airport with your name on the poster of our agency to offer you a pleasant welcome, after that, we will transport you to your hotel. During the tour you will see the church of San Francisco, the Arco de Santa Clara, the National College of Sciences, the house where the Inca Garcilazo de la Vega was born, the Plaza Regocijo, colonial balconies, the Colonial Portal de Mantas, the Church of La Merced, the Great Qoricancha, La Paccha or water source of Cusco, Limacpampa Square. 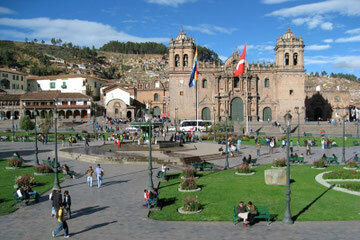 Then you climb the upper part of Cusco, from where you get a panoramic view of the city. In this place you enter the Cristo Blanco (beautiful sculpture donated by the Arab community). During the tour you can also see the temple dedicated to the Sun God of Sacsayhuaman. Finally, when returning to the city, the Church of San Cristóbal will be appreciated. The tour concludes at the Plaza de Armas. Transfers from the airport to the selected hotel. Guided tour city panoramic tour. Pick up from the hotel at 8:30 am, to start our visit to Pisac archaeological center, beautiful valley that is located in the Sacred Valley of the Incas. The Sacred Valley was one of the main points of production for the wealth of its lands and the place where the best corn is produced in Peru. Then you will visit its typical craft market. Buffet lunch in Urubamba. Then we will continue to Ollantaytambo where we will see the town, its typical streets and visit the impressive archaeological group, its terraces. We will finish the expedition at the Ollantaytambo station, here we will board our train that will take us to the town of Aguas Calientes. The duration of the trip on the train is approximately 1 hour and 30 minutes, arriving at the hot water station where our transfer awaits us to take us to the chosen accommodation to take a bath and rest from this expedition. After breakfast at the hotel, we go to the bus station, where we will board the transport that will take us to the entrance and control of Machupicchu, this trip takes 30 minutes to observe the flora and fauna that adorn the road to one of The wonders of the world for a guided tour that lasts on average 3 hours. 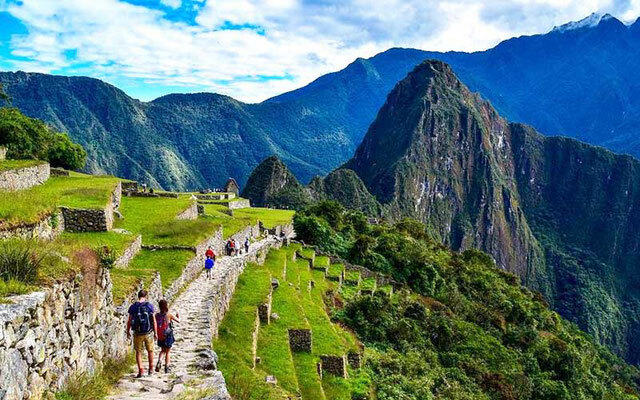 Our private guides will take you through the different sectors of the sanctuary, where you can enjoy amazing views and discover the different aspects of Inca life that will transport you in time. 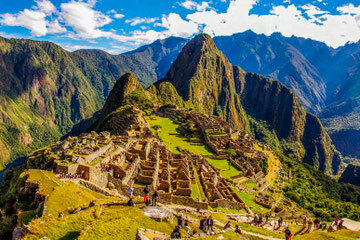 In the afternoon we will return to Machu Picchu Pueblo, where the train will take us back to the ollantaytambo train station, where the transfer will take us to take our private tourist transport and take them directly to your hotel in Cusco. Transfers to the selected hotel. Permanent monitoring of the passenger. According to the departure time of your flight, we will pick you up from your hotel. The transfer to the Airport or Terrestrial Terminal, will be a few hours in advance to carry out the procedures and boarding bags at the Velasco Astete airport agency. 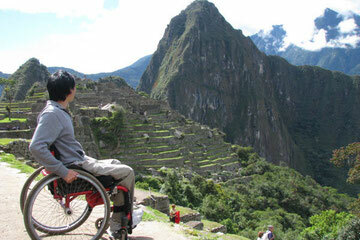 Guided circuit tour in Sacred Valley. Entrance ticket: Moray (BTG) city of Cusco. Guided tour circuit Mountain of colors. 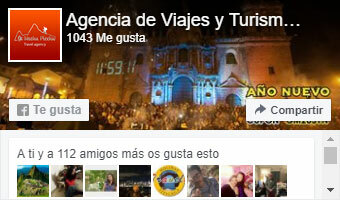 Tourist mobility of Ollantaytambo to the city of Cusco.